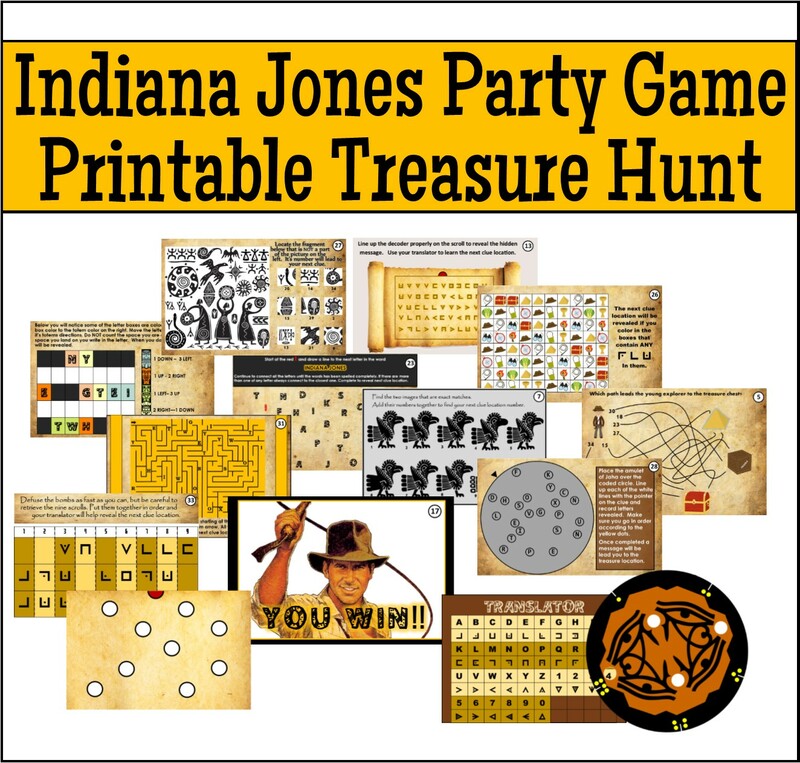 Our Indiana Jones treasure hunt is a printable party game that you can play anywhere because YOU decide the hiding locations for each clue. 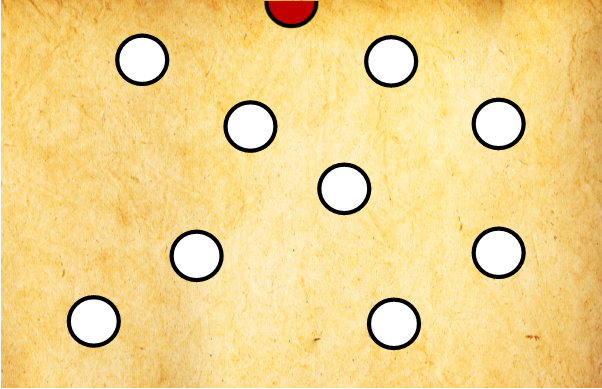 This game includes 11 clues in two different versions - the original version and the easier version. You can decide which one to use based on your game participants. 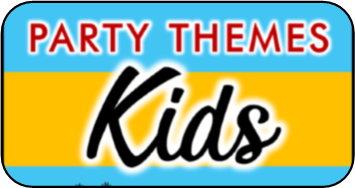 This hunt is perfect for a explorer party, adventure party, or Indiana Jones themed party. I would recommend this for ages 7 - 14. How does the indiana jones treasure hunt work? When you set up the hunt you will fill out the clue locator key with whatever locations you want to use as hiding spots, and fill in the rest of the spots with decoy locations. Each of the clues in this hunt are different, and requires a different way to solve. 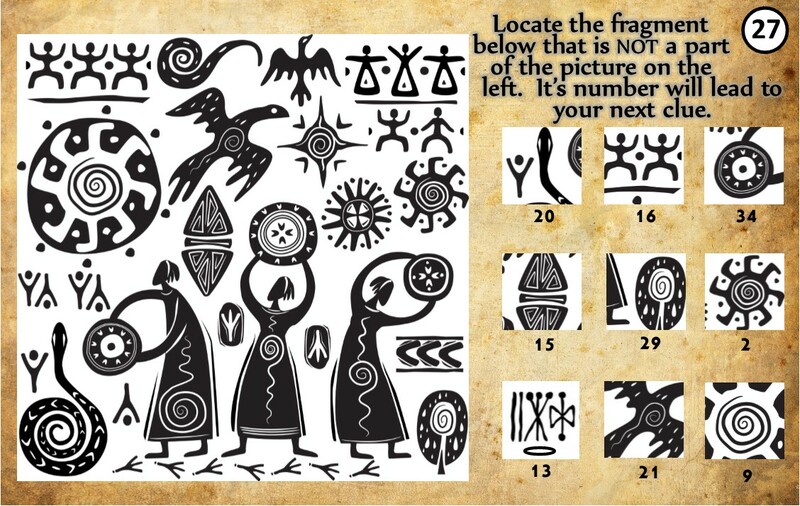 We have included an easier version of the hunt clues as well and you can choose which version would be best for your age group. Not every clue needs a decoder to solve it, but have included a few. We have three different decoders included in this hunt to add to the fun. 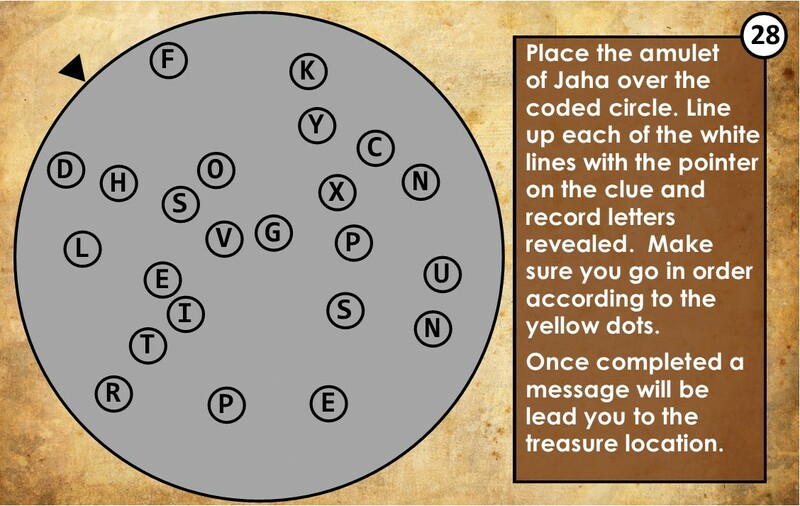 The first two decoders shown reveal specific letters or codes when placed over the clue in the correct way. Each of the white circles must be removed with a hole punch during set-up to work properly in the game. 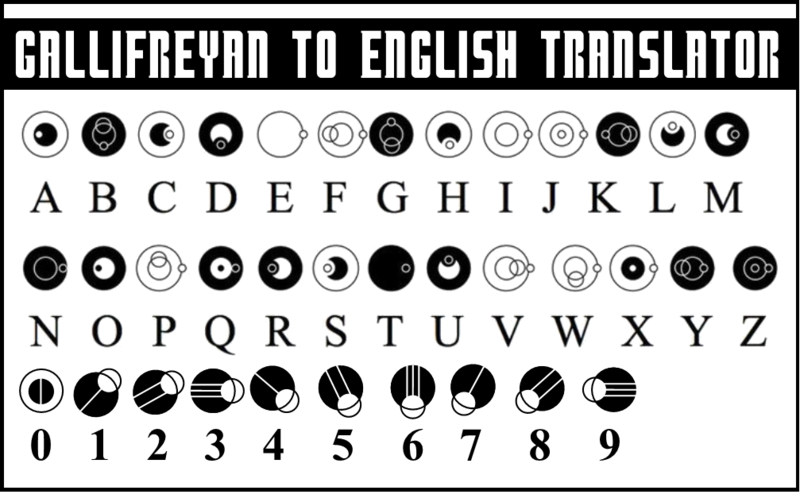 The third is a basic decoder to help players figure out certain coded clues along the way. They can also keep these and practice writing their own codes for a before the hunt activity. 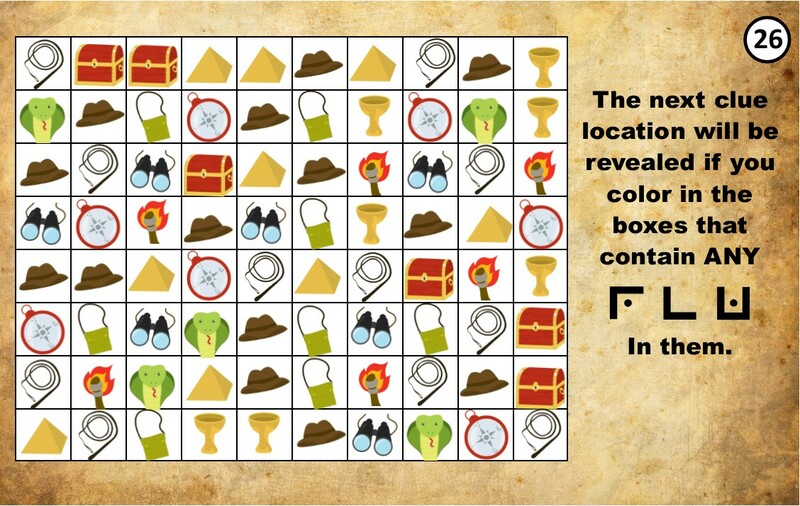 This clue uses both the 1st and 3rd decoder to solve it. 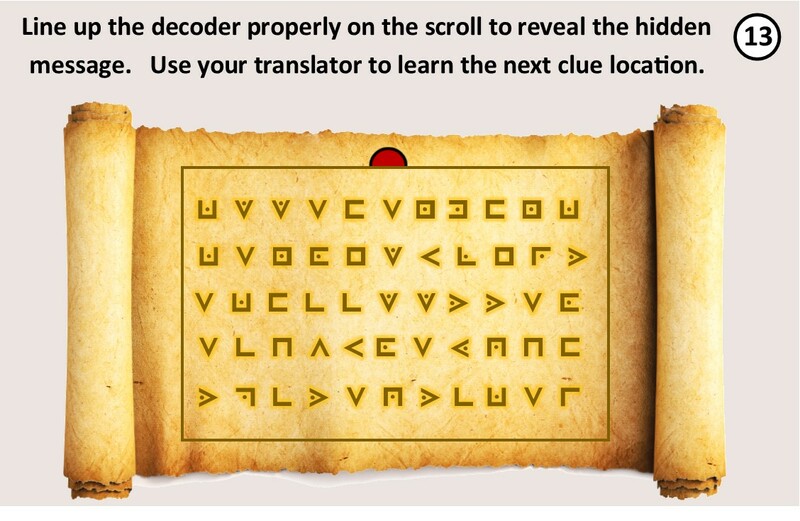 This clue uses the 2nd decoder to solve. 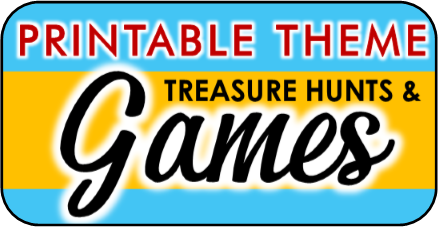 How to set up the indiana jones treasure hunt? Browse through the two different sets of clues and choose whether you want to use the orginal version or the easier version. Print out the clues to your chosen hunt. 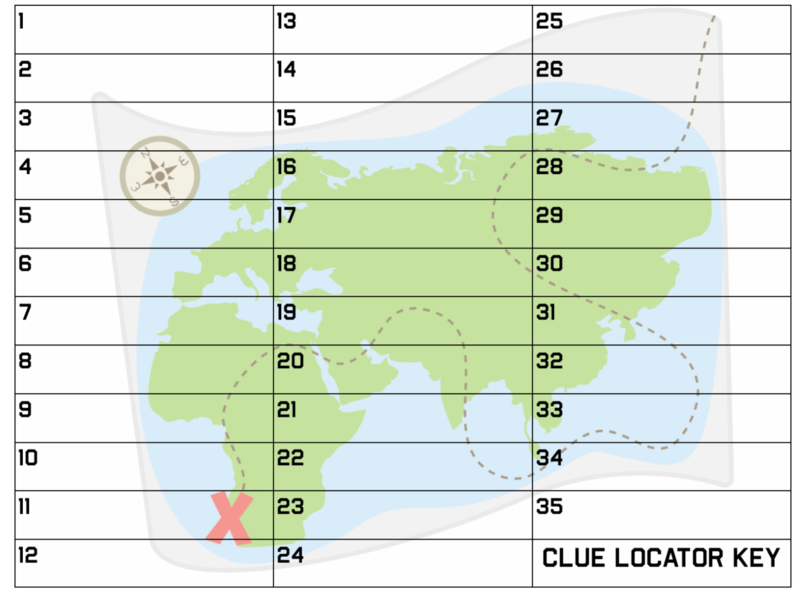 Print out the clue locator key. Prepare clues as instructed - a few of the clues need certain items to complete. Items you will need to provide for this hunt are - pencils, paper, black balloons. get Your Indiana Jones Hunt Now!